DETROIT — Autonomous vehicles get all the headlines, but automakers are gradually adding advanced electronic safety features to human-driven cars as they step toward a world of self-driving vehicles. Many of the new features repurpose cameras and radar that already are in cars for automatic emergency braking, pedestrian detection and other safety devices. The companies also are keeping a closer watch on drivers to make sure they're paying attention. On Monday, Arizona's governor suspended Uber's self-driving vehicle testing privileges after one of its autonomous vehicles struck and killed a pedestrian last week. But auto engineers and industry analysts still say roads will become safer as more vehicles get automated features that either assist or replace human drivers. The government says 94 percent of crashes are caused by human error. STAY FOCUSED: A company called NVIDIA is using artificial intelligence and cameras to sense where a driver is looking and focus sensors everywhere else. If a pedestrian or another vehicle appears where the driver isn't looking, the system will intervene, either sounding a warning or by stopping the car from moving, says Danny Shapiro, senior director of automotive business for the Santa Clara, California, company. "Before we get to full automation, if the driver is still in control and responsible, we want to know when we should provide alerts and when we should not," Shapiro says. NVIDIA has a contract with Volkswagen to deploy the system in the next two years. Other automakers are likely to follow. LOOKING BACKWARD: When a driver activates a turn signal, an 8-inch screen behind the steering wheel on Hyundai's new Nexo hydrogen fuel cell vehicle shows everything on that side of the car plus what's directly behind it. 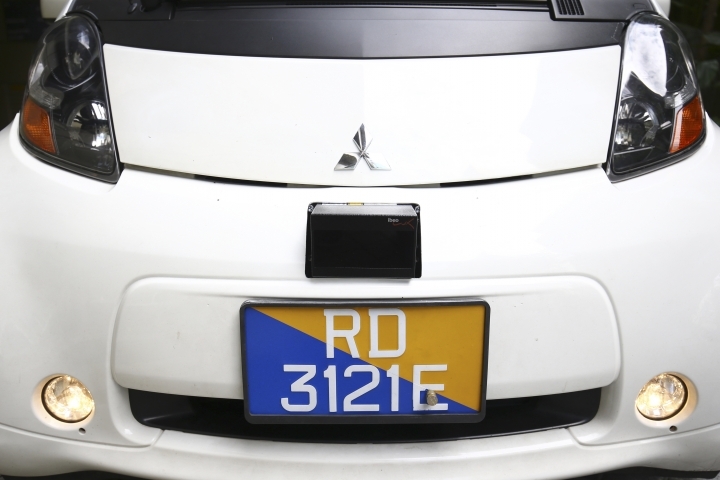 The system uses existing cameras to let drivers see without turning their heads. "The information we can offer from a camera may be better than a live look over the shoulder," says Cason Grover, senior manager of vehicle technology planning for Hyundai. Other cars have similar technology but most don't have as wide of a view. SEEING SIGNS: Mercedes' new S-Class cars have advanced navigation and global mapping, and cameras that read speed limit signs. These enable the car's computers to warn drivers of the speed limit or keep them from exceeding it. The system also recognizes upcoming construction zones, curves or roundabouts, and can slow the car ahead of when a driver would. Volvo has a similar system that reads speed signs, including those in school zones. 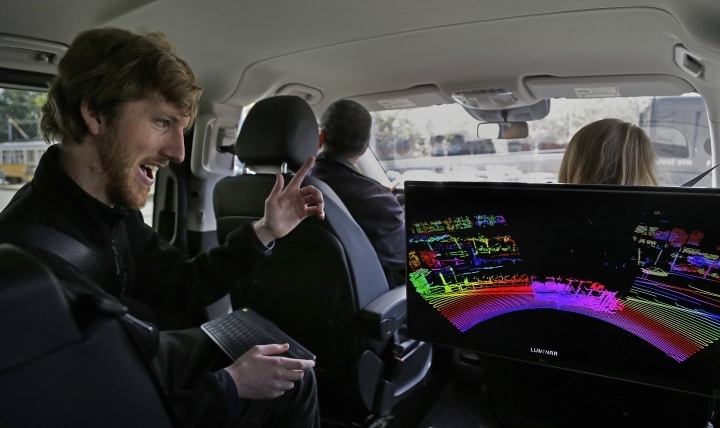 Audi's system is the first step toward more widespread use of Lidar. 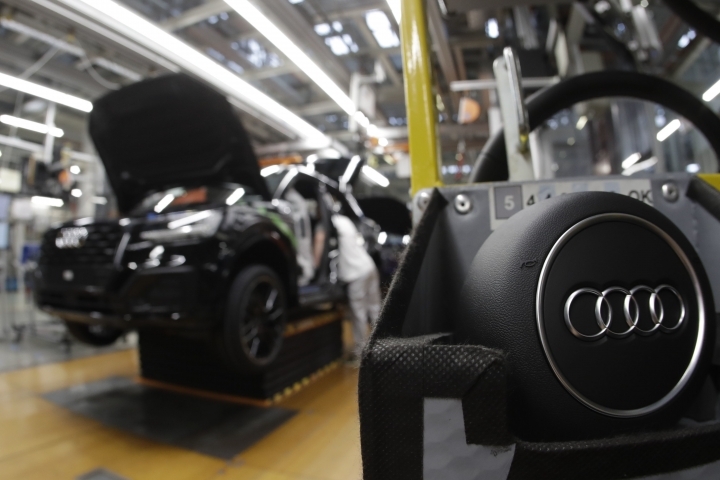 Parts supplier Continental is working on a fully electronic version for an unspecified automaker that can see smaller objects such as bicycles and pedestrians in three dimensions, 200 meters (656 feet) ahead. Currently Continental sells a Lidar system that spots only vehicles and can see only 10 meters (33 feet) forward. The longer-range system integrated into the car's body is the missing link in the march toward autonomous vehicles, says Arnaud Lagandré, a Continental vice president. "You can see through fog, you can see through rain, you can see through the water splash from the car in front of you." TRAFFIC LIGHT TIMING: For more than a year, some Audi A4 cars and Q7 SUVs in Las Vegas have been linked to traffic light computers. They get a dashboard countdown telling them when lights will change. This can prevent drivers from running lights and can let them time their travel to avoid stopping. It's the forerunner to vehicle-to-infrastructure communications that will keep cars moving and could warn drivers that a car is about to run a red light. Audi is testing in several other cities. About 600 city traffic lights in Washington, D.C., were just added.